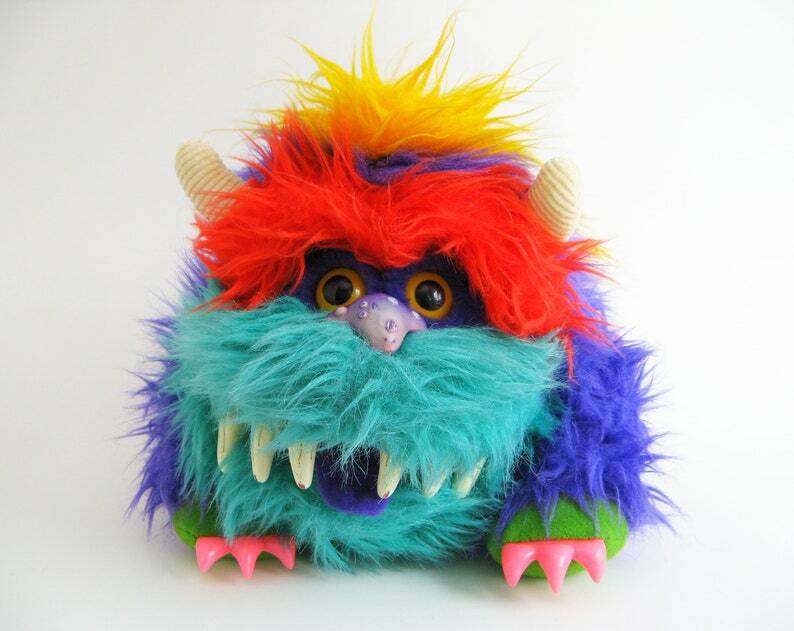 Adorable vintage My Pet Monster stuffed animal puppet named Rark. Plastic mouth, teeth & claws. Made by AmToy Plush in 1986. He is in good, gently played with condition. His fur is a little matted but he still has lots of life in him. FROM CLEVELAND INC. and AMERICAN GREETINGS, AMTOY, INC.